Miami New Times and Zoo Miami are proud to celebrate the latest Brew at the Zoo, Saturday, May 11, 2019, at Zoo Miami. Now in it’s 10th year, thousands of beer connoisseurs will descend upon Zoo Miami to drink unlimited sampling of more than 100 of the world’s finest local and international beers, all while enjoying great food from Greek Eats by C & R Concessions, along with vendors and sponsors. Brew at the Zoo is one of the largest and most successful beer festivals in Miami. 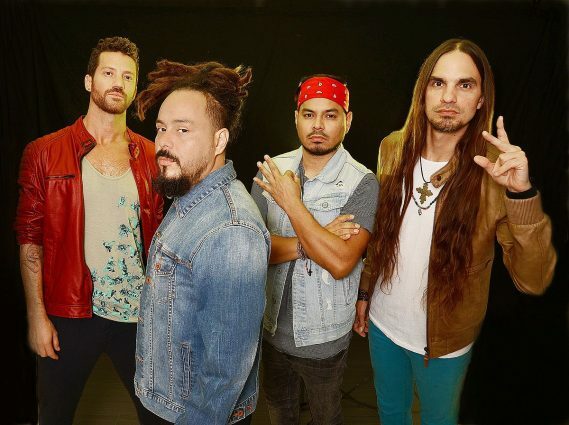 In addition to offering craft beer tastings, Miami New Times is thrilled to welcome back Grammy and Latin GRAMMY nominated bilingual band, Locos Por Juana. Recognized for their high energy live performances and unique fusion of reggae, funk, cumbia, salsa and Rock, it’s sound is a hybrid that incorporates the sounds of their heritage. The beer tasting will take place from 8 to 11 p.m. and is expected to draw more than 5,000 beer aficionados for an evening of unlimited craft beer sampling. Three (3) ticket choices are available to purchase: VIP Experience, which includes entry to the event one hour early, at 7 p.m.; access to an exclusive VIP lounge offering food from El Palacio de los Jugos and Los Tanitos; Munchkins and coffee courtesy of Dunkin Donuts; full-pour beers from Anheuser-Busch’s newest addition Patagonia Amber Lager ; a complimentary bar serving Jameson Irish Whiskey, Canna Vinus; and much more. The Jameson Brewmaster tickets allow entry to the event an hour earlier than general admission and access to special Jameson Brewmaster-only exclusive craft beer pours from 7 to 8 pm. General admission allows entry at 8 p.m. for unlimited beer sampling and the musical performance. Configuration of the event layout has been greatly improved since 2018 to make it easier to navigate. VIP is back where it has been in year’s past in Camel’s Corner with air conditioned restrooms available. Brewers already signed up to provide samplings are Guinness, The Keg King, Veza Sur Brewing Co, Hop Life Brewing Company, Gulf Stream Brewing Company, Biscayne Bay Brewing Company, The Shed Brewing Company, Concrete Beach Brewing, and many others will be announced. Zoo Miami is a charity partner of Brew at the Zoo. A portion of every ticket sold for Brew at the Zoo will benefit Zoo Miami’s Wildlife Conservation Fund. Guests can present their Brew at the Zoo ticket for free admission to Zoo Miami May 11 or receive 50 percent off admission to the zoo through September 30, 2019. For more information, visit NewTimesBrewattheZoo.com or join the event on Facebook at Miami New Times Brew at the Zoo. to buy tickets. Tickets can be purchased at NewTimesBrewattheZoo.com.